Highlights of the Sky Bet Championship game between Norwich and Aston Villa. 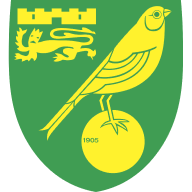 Norwich dealt a huge blow to Aston Villa's chances of automatic promotion from the Sky Bet Championship with a convincing 3-1 victory at Carrow Road. The Canaries took the lead in first-half stoppage time when Josh Murphy curled home a beautiful effort into the top-left corner (45+2) and they made it two when Dennis Srbeny netted his first goal for the club (54). Jack Grealish pulled one back when he tucked Jonathan Kodjia's cross past Angus Gunn (67), but just five minutes later, James Maddison hit back to restore the two-goal lead (72). The result means little for Daniel Farke's men, while Villa are now seven points behind Cardiff in the automatic places with just five games left to play. 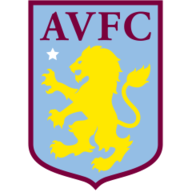 The Canaries started the better but the lack of chances did little to justify their dominance as Villa grew into the game, with Scott Hogan at the forefront of the visitors' attack proving a nuisance early on. In a half devoid of clear-cut opportunities, Grealish had a venomous shot bravely headed away by Grant Hanley, while at the other end, John Terry was tested when he covered for a momentarily disorganised Villa back-line to prevent Maddison's driving run and cross being tucked home by Murphy. But seconds before the break, Murphy left Villa shell-shocked when he picked up Maddison's short pass and looked for a killer ball to the far post. He opted to shoot and beat Sam Johnstone with a stunning left-footed shot from 25 yards. Nine minutes into the second half, it was two. The energetic Murphy raced down the left to find Harrison Reed and he clipped a pass across to Srbeny, who evaded the offside trap to bury it from close range. Steve Bruce opted for the same starting 11 that beat Reading 3-0 on Tuesday evening, while Daniel Farke made four changes in response to the 4-1 thrashing the Canaries were dealt by QPR at Loftus Road on Easter Monday. Out went Christoph Zimmermann, James Husband, Wes Hoolahan and Nelson Oliveira and in came Timm Klose, Jamal Lewis, Alexander Tettey and Dennis Srbeny. Bruce made a double change after 55 minutes to incorporate Jonathan Kodjia and Lewis Grabban into his ailing attack and that soon paid off when Kodjia laid the ball off to the tireless Grealish, who squeezed a low shot past Gunn's left palm, before revealing a shirt bearing a tribute to Ray Wilkins. The advantage may have been narrowed, but Farke's men continued regardless and were rewarded for their tenacious mentality when Murphy raced from nigh-on halfway to cross for Maddison. He steadied himself, struck the fourth and all but ended Villa's hopes of avoiding the play-offs. Another of Daniel Farke's real prized assets put himself in the shop window at Carrow Road with not only a superb assist, but a real contender for goal of the season to nestle nicely alongside it. Daniel Farke: "We all know what Josh is capable of. He has excellent technique and it was an excellent goal. He also played a part in our other two goals and it was a really good all-round performance from him. "Now he needs to do that on a consistent basis, that is his challenge. He has had games this season when he has struggled a bit, hasn't made the right decisions. He isn't the strongest or toughest guy but he always goes out there and gives his best. As a coach you always have to support your young players and Josh was outstanding. He has shown everyone what he can do." Steve Bruce: "We were poor, really poor, and we didn't do nearly enough to get anything from the game. There was no zip to our play, the defending for the second two Norwich goals was unbelievably poor and we absolutely got what we deserved, which was nothing. The players have let the supporters down - and they have also let themselves and the team down. "It's really disappointing the way we have fallen away over the past four games, taking just four points. That's not promotion form, or even play-off form. We have failed to perform when we really needed to and handed the momentum to others, which is really disappointing." Both sides are next in Sky Bet Championship action on Tuesday evening. The Canaries travel to the Stadium of Light to face struggling Sunderland, while Steve Bruce's men will test their mettle against promotion rivals Cardiff at Villa Park, with the game live on Sky Sports Football from 7.30pm. Could you be the next Super 6 jackpot winner? Enter your predictions for free here.